An ancient temple has is almost 3000 years old has been unearthed in Israel. Israeli archeologists have discovered the remains of an ancient temple that is almost 3000 years old. “The ritual building at Tel Motza is an unusual and striking find, in light of the fact that there are hardly any remains of ritual buildings of the period in Judaea at the time of the First Temple,” excavation directors Anna Eirikh, Hamoudi Khalaily and Shua Kisilevitz said in a statement released by the Israeli Ministry of Foreign Affairs. The temple remains were discovered at the Tel Motza site, located to the west of Jerusalem. The Israeli Antiquities Authority has been conducting excavation efforts at the site and says that along with the temple remains itself, the findings include a “cache of sacred vessels” estimated to be 2,750 years old. 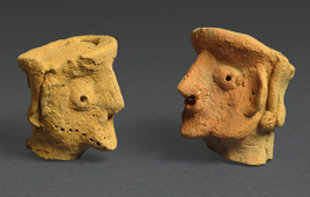 “Among other finds, the site has yielded pottery figurines of men, one of them bearded, whose significance is still unknown,” the statement from Khalaily and Kisilevitz reads. NBC’s Cosmic Log notes that the discovery was made during preparations for a new section of Israel’s Highway 1. Because of the number of historical sites and artifacts in and near Jerusalem, the Israeli government typically conducts similar archeological excavation efforts before beginning construction on major infrastructure projects. The excavation directors said they will continue to examine the findings and conduct further digs while preparations for the highway construction continue. “The find of the sacred structure, together with the accompanying cache of sacred vessels, and especially the significant coastal influence evident in the anthropomorphic figurines, still require extensive research,” they said. Next: Sony Kills PlayStation 2!